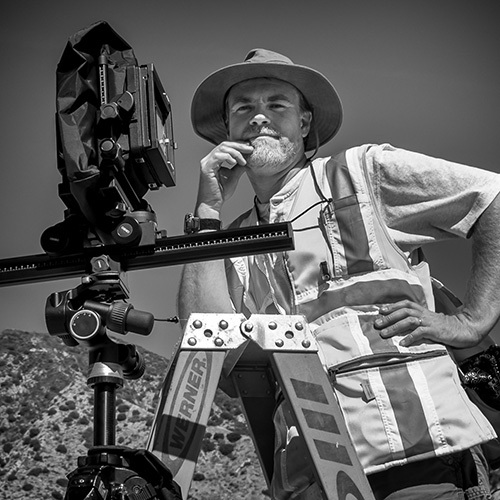 Establishing his photography studio – Schaf Photo – in downtown Ventura in 1989, Stephen Schafer (AKA: Schäf) now specializes in architectural photography and HABS, HAER, HALS surveys for publications, architectural portfolios, mitigation documents, and historic landmark nominations. Schaf Photo's client list includes institutions, corporations and cities such as San Francisco, Los Angeles, Riverside, Alameda, Santa Monica, San Jose, Culver City, Monterey Park, Berkeley and the Ports of Long Beach and Los Angeles, the San Diego Unified, LA Unified, and Long Beach School Districts, Mount San Antonio College, UC San Francisco, Pepperdine University, UCLA, the San Francisco Presidio Trust, the Getty Conservation Institute, Caltrans, Caltrain, SCE, PG&E, NASA, GSA, USGS, the National Park Service, and California State Parks. His architectural photographs have been featured internationally in books and publications like Architect Magazine, the Wall Street Journal, Preservation Magazine, Bloomberg Business Week, Traditional Building Magazine, and NPR. Mr. Schafer is an expert in architectural photography with a practiced understanding of historic structures. 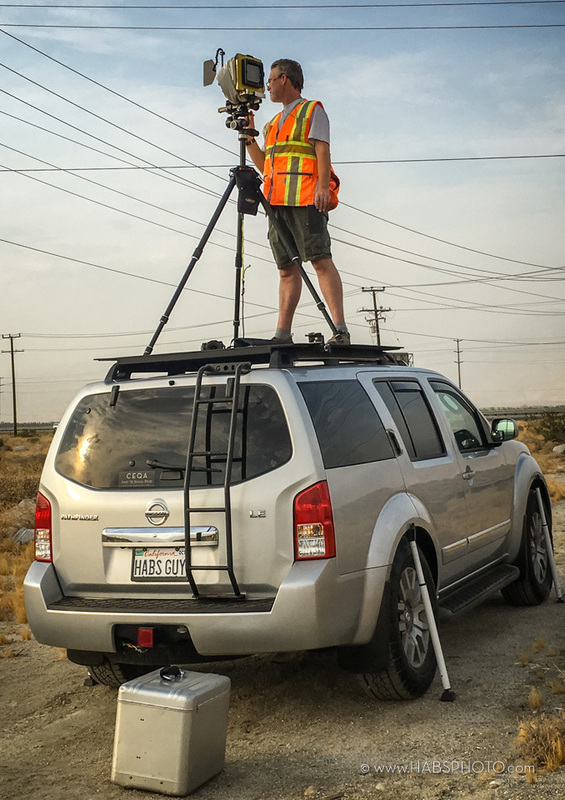 His documentary photographs have been used to nominate sites to the National Register of Historic Places and as CEQA and NEPA mitigation measures. He specializes in 4x5" and 5x7" archival, large format photography adhering to the Secretary of the Interior's Standards for Architectural and Engineering Documentation. The focus of his historic survey work is historic buildings, landscapes and engineering projects that range from a Cold-War stealth ship to an 1840s adobe. These photo-documents are transmitted to the Historic American Buildings Survey (HABS), the Historic American Landscapes Survey (HALS) and the Historic American Engineering Record (HAER) collections at the Library of Congress. His photography has taken him to over 20 countries worldwide and most of the United States but he also regularly documents the changing local neighborhoods and buildings in his hometown of Ventura. After attending Brooks Institute of Photography, Santa Barbara and the University of Cape Town, South Africa, Mr. Schafer’s work earned him considerable distinction in his field, allowing him the rare opportunity to teach in the University of Pittsburgh’s Semester at Sea program aboard an ocean liner circumnavigating the globe. He has also taught photography as an adjunct professor at California State University Northridge, at Ventura College and at the Los Angeles Center of Photography. He regularly presents workshops and lectures on all aspects of photography, historic preservation, and CEQA compliance at the University of Southern California and at the California Preservation Foundation conferences in addition to past lectures at the American Planning Association conference and to archivists at the National Archives in Washington, D.C. Mr. Schafer currently serves on the boards of the Association for Preservation Technology – Western Chapter, the San Buenaventura Conservancy and he is an appointee to the Ventura County Cultural Heritage Board. He lives in downtown Ventura with his wife Sherry, in an 1881 folk Victorian farmhouse that they rehabilitated in 2001. Architecture on Location, the Los Angeles Center of Photography Workshops, Hollywood, California, December 2, 2018. HABS/HAER/HALS Photo Documentation, University of Southern California, ARCH 552 Guest Lecturer, Los Angeles, California. September 2010, 2011, 2012, 2014, 2015, 2016, 2018. Technical Approaches to Documentation, USC Summer Preservation Intensive, Documentation Day presenter, USC, Los Angeles, California, July 2011, 2015, 2016, 2017, 2018. HABS, HAER, HALS Overview & Case Studies, CPF, 2018 Annual Preservation Conference Workshop May 19, 2018. Palo Alto, California. Association For Preservation Technology International Documentation Technologies Workshop, Point Reyes National Seashore, Marin County, California, hands-on demonstrations and lecture on HABS/HAER/HALS photography. February 2017. Light Anything, Anytime, Anywhere, the Los Angeles Center of Photography Workshops, Hollywood, California, February and August 2015, March 2016 and April 2, 2017. The New Photographers of Mid Century Modern Architecture, Moderator, Modernism Week, Palm Springs art Museum, Annenberg Theater, Palm Springs, California, February 2016. HABS, HAER, HALS Photography In Depth, California Preservation Foundation, Precision Preservation Workshop, Mare Island Navy Base, Vallejo, California, November 2015. Historic Context Statements Sessions & CEQA Mitigation Strategies Sessions, California Preservation Foundation – Workshops, Norco, Ventura, Sonoma, San Francisco, California, July 2011. San Francisco, California, December 2010. March 2014 & July 2015. Introduction to Large Format Photography, the Los Angeles Center of Photography Workshops, Hollywood, California, March 2015. Then & Now Architectural Photography, Museum of Ventura County, Arts & Letters, Ventura, California, September 2013. FOCUS ON THE FUTURE: Creating Born-Digital Standards for Large Format Photography, with Anne Mason, HDP, Society for Imaging Science & Technology, 2013 IS&T Imaging Symposium, National Archives, Washington DC, April 2013. New Photo Technologies for HABS, HAER, HALS & Surveys, CPF, 37th Annual Preservation Conference Workshop May 2012. Oakland, California. Also sessions at CPF workshops November 2011 & February 2012. Architectural Photography and Documentation for Preservation Professionals, California Preservation Foundation Workshop, 35th & 36th Annual Preservation Conferences, May 2010 and 2011. December 2010. August & October 2009. Building Relationships in Public Policy, Santa Barbara Conservancy – Keynote Speaker, Santa Barbara, California, February 2011. Photography for Historic Resource Surveys, CPF, Historic Resource Survey Workshop, Tustin, California, January 2010. The Fast & Furious: The Reality of Assignment Shoots, The Julia Dean Photo Workshops, Venice, California, October 2009. The Poetry of Infrared, Film & digital infrared photography Workshop, at Freestyle Photographic, Hollywood, California, August 2009. A Photographer's View, CPF, Secretary of the Interior Standards Workshops, Ventura & San Francisco, 2008. From Shoot to Show: Preparing your Images for Exhibit, The Julia Dean Photo Workshops, Venice, California, 2007. Shooting Interiors from Start to Finish, Calumet Photographic, Saturday workshop series, Santa Barbara, California, 1999.